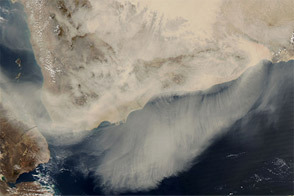 The dust storm that formed on March 17 spread across the Arabian Peninsula the following day. The Moderate Resolution Imaging Spectroradiometer (MODIS) on NASA’s Terra satellite captured this natural-color image on March 18, 2012. 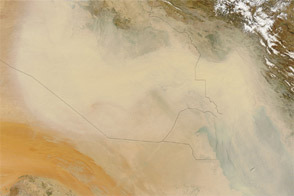 The dust blew generally eastward across Iraq, and curved toward the south and southwest over Saudi Arabia. 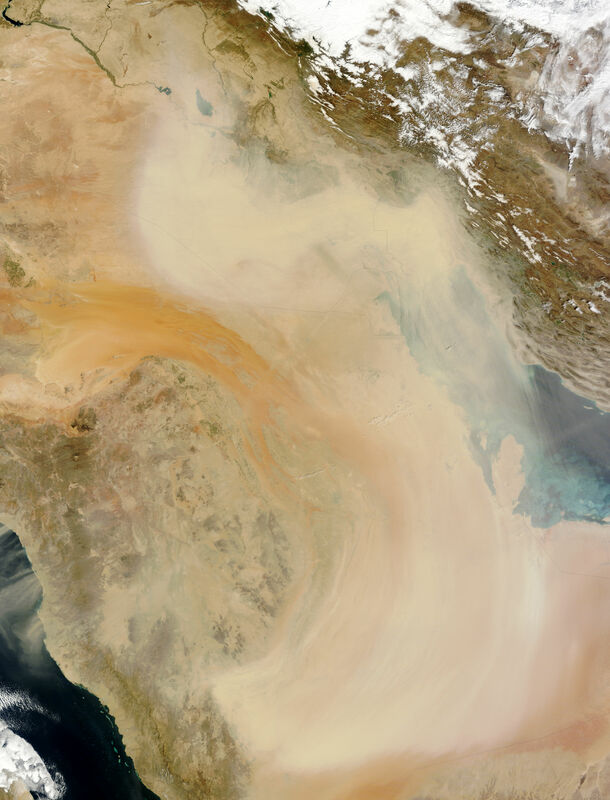 Besides Iraq and Saudi Arabia, thick dust hovered over westernmost Iran and part of the Persian Gulf. 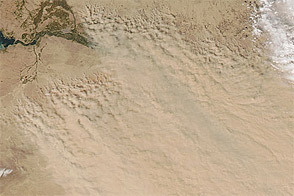 In what was probably a separate dust storm, plumes also blew westward from Saudi Arabia across the Red Sea. 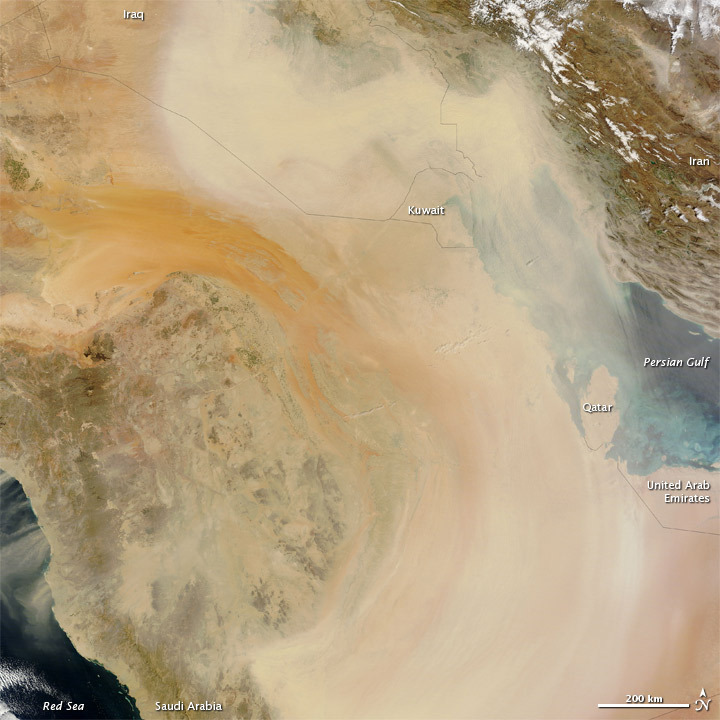 Fine sediments from the Tigris and Euphrates Riverbeds in Iraq, and vast sand seas in Saudi Arabia provide plentiful material for dust storms, making this region one of the most prolific dust-storm producing areas on Earth. Gulf News reported that dust storm activity had disrupted air traffic in the United Arab Emirates and Yemen, closed schools in Oman, and sent hundreds to the hospital with breathing difficulties. 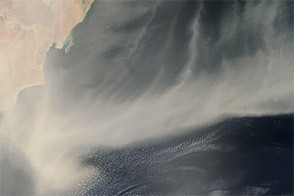 Acquired March 18, 2012, this natural-color image shows a dust storm blowing southward across the Arabian Peninsula.